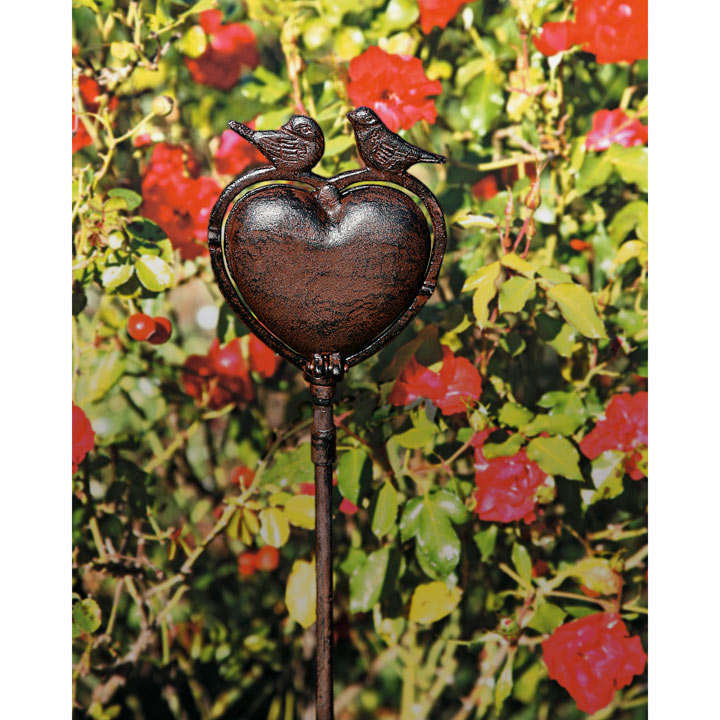 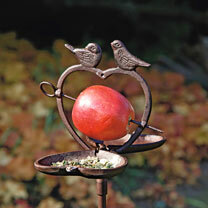 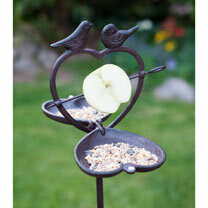 This cast iron bird apple feeder will give the birds in your garden an enjoyable place to rest and recuperate. Simply fold down the halves of the heart and your feathered friends will find a nice place to cool off in the summer when filled with water, or indeed fill with food in the winter for a tasty snack. Pierce an apple with the included skewer for a different snack option. 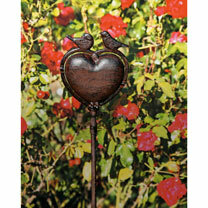 Height 112cm, depth 4cm (heart opens to 23cm), width 13cm.